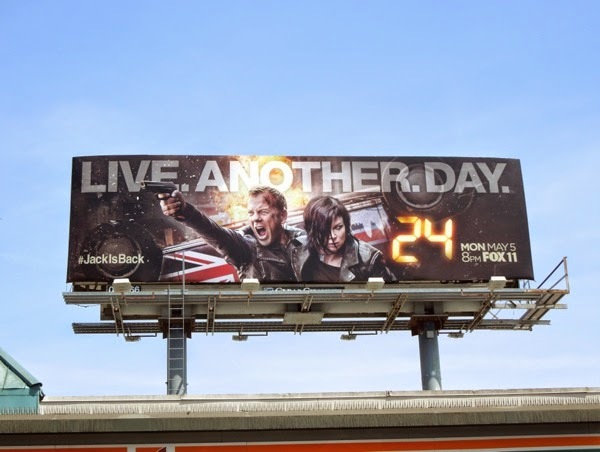 'Jack Bauer's' back to live another day and you better believe it, dammit! 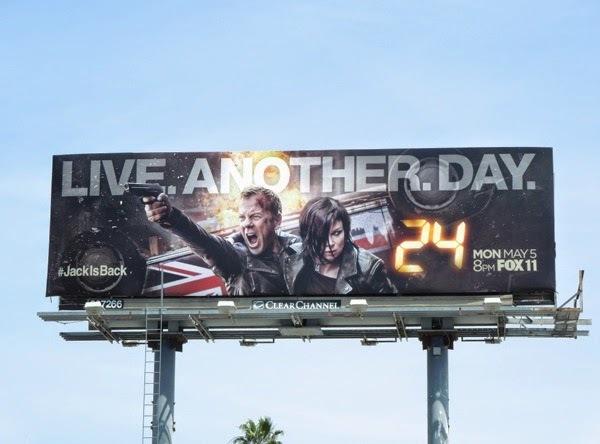 After eight seasons of terror threats, betrayals, torture, assassinations, political scheming and racing around L.A. and New York in 24 hours, Kiefer Sutherland returns to reprise one of TV's all-time best character creations. Four years since he went underground after killing Russian diplomats and attempting to assassinate the Russian president, the counter terrorist expert resurfaces in London for a special 12-episode series and he's brought along some familiar faces to help him save the day and avert a world war. 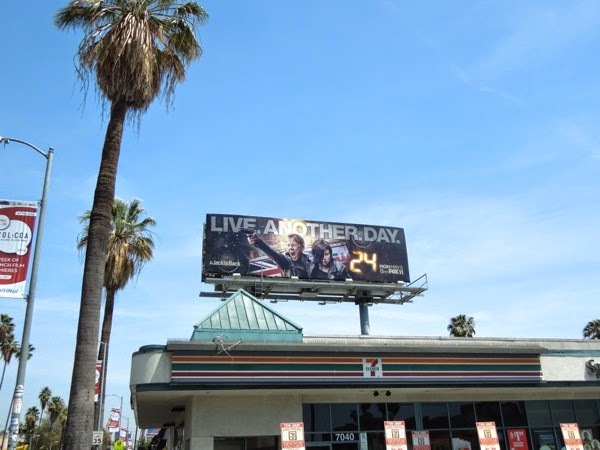 Jack is joined by his code-breaking partner-in-crime 'Chloe O'Brian', played by Mary Lynn Rajskub, who's undergone her own transformation after living off the grid as an edgy hactivist, hardened by all her traumatic experiences. In addition to his lippy computer wiz sidekick, Kim Raver also reprises her role as Jack's love interest 'Audrey Raines', plus some new faces and threats are supplied by Tate Donovan, Benjamin Bratt, Yvonne Strahovski and Michelle Fairley. 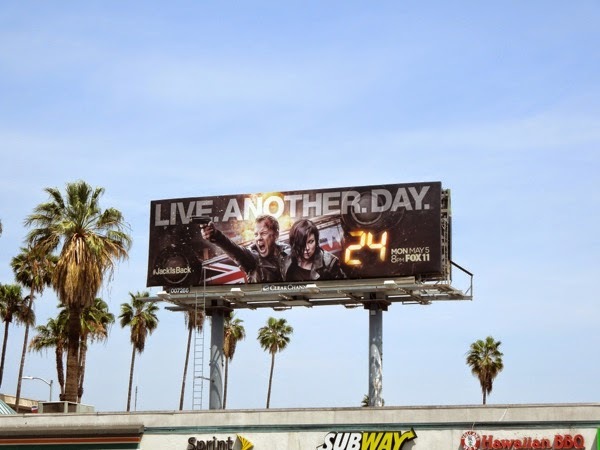 The whole 'Live Another Day' subtitle and setting in London feels like this new iteration of 24 wants to pay homage to James Bond, or create some international intrigue, so let's hope there's enough twists, turns and shocks to make this historic return to television worthwhile and not simply a rehash of past successes. 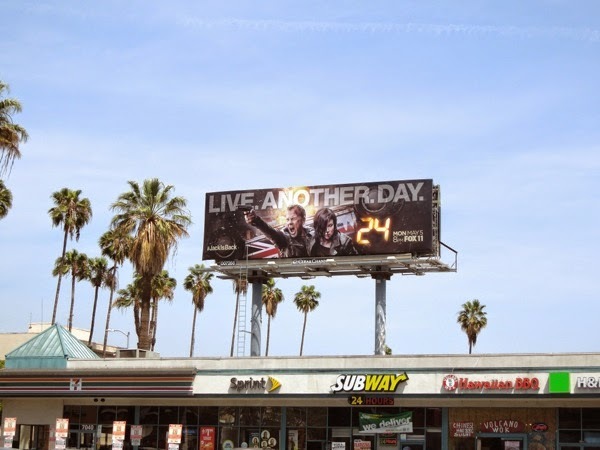 This dramatic de facto ninth season 24 billboard was snapped along Sunset Boulevard at La Brea Avenue on April 23, 2104. Let the countdown to 24 hour non-stop action begin (and more importantly, who will the mole be this time? ).